A good skin care routine starts with the right cleansing practices and of course, the use of right products. 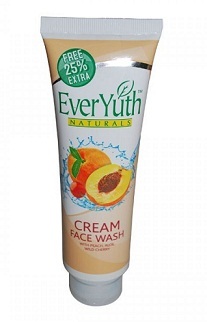 Zydus Wellness Ltd. has formulated an excellent range of skincare products by the name of Everyuth Naturals & I seriously, do not remember one everyuth product that did not impress me. 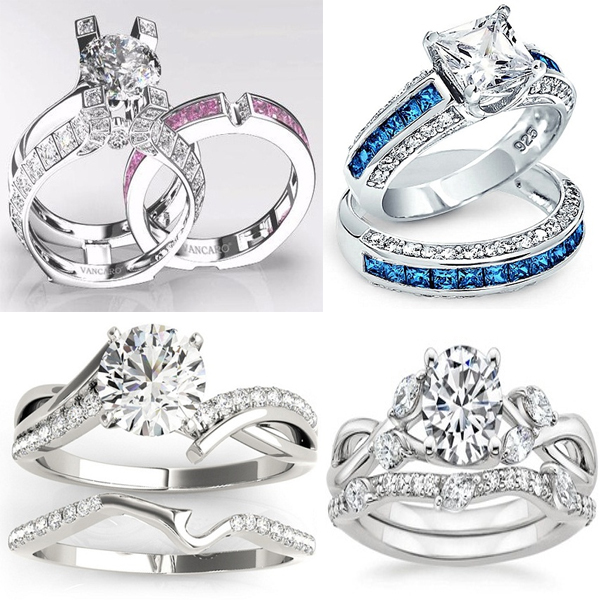 The quality is decent and the prices pretty affordable. 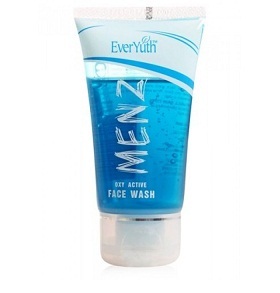 Recently, they have launched a nice series of face washes for men also. 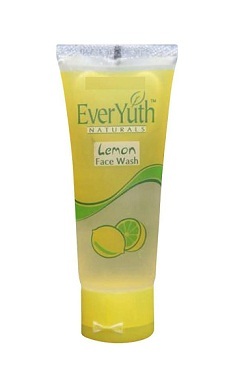 Below is a list of top 9 Everyuth face washes available out there in the markets and on online shopping sites. I still remember using this face wash as a teenager. I was a fan of Lemon fragrance at that time and Liril, Cinthol and this face wash were a few amongst my bath time favorites. 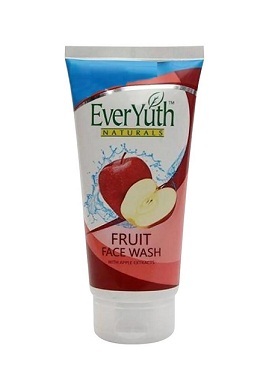 This face wash is good for sensitive skin of teenagers as at that point of time your skin is reactive to a lot of products and 100% soap free face wash that clears dirt and sebum from the skin without drying it is an excellent option. This face wash contains the extracts of lemon, green apple and honey all of which make it gentle and nourishing to the skin. Price: Rs. 55 for a 100ml tube. If your skin type is dry and regular face washes make your skin feel stretchy and dehydrated then you must try this cream based face wash at least, once. It comes with moisturizing properties of peaches, aloe vera and wild cherry. It smells mild and fruity and removes all traces of grime without disturbing your skin’s natural moisture balance. Price: 60 grams for 65 only. This one is yet again for normal, dry and sensitive skin types who like to use a mild, cleansing face wash that does not dry out skin. 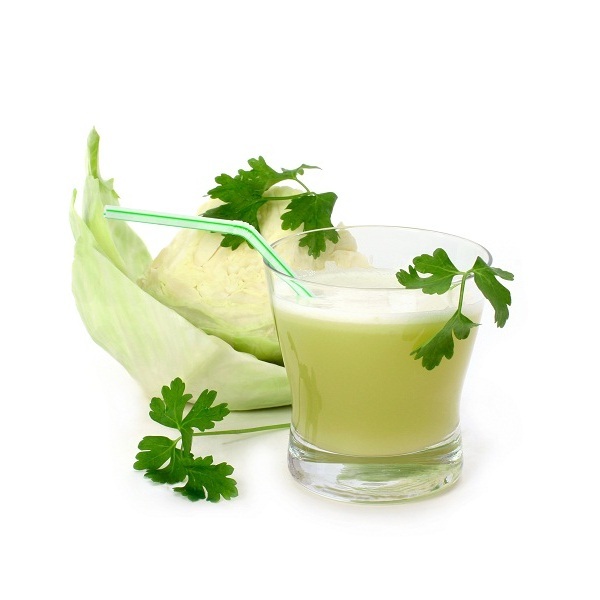 It has a lovely fruity punch of fragrance and works as an excellent mood lifter in mornings. 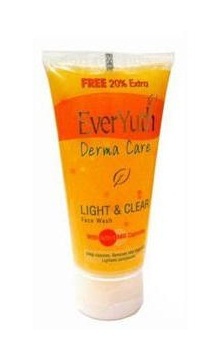 It would clean and revitalize your skin & protect it from sun damage as well..
Price: 65 for 100gram tube. 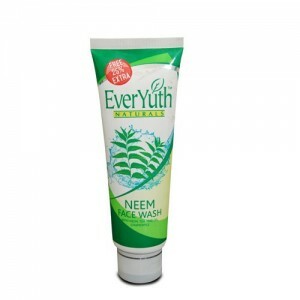 Neem remains to be one of the favorite ingredients of skin care industry when it comes to treating Acne prone skin. 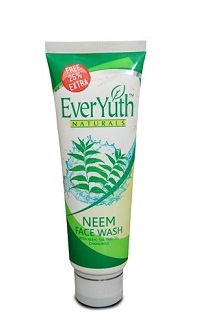 The Neem leaves have strong anti bacterial property, which is very rightly utilized by this face wash. It also contains extracts of tea tree oil and chamomile which accelerate the anti acne effect of this face wash by reducing sebum production and hence the tendency for the pores to get clogged. It also has micro granules for adding the mild scrubbing effect to this face wash that helps in getting rid of superficial tan and dead skin accumulation. This one is an ideal daily use face wash that has been formulated for any girl who likes to take a good care of her skin. It helps to remove all impurities that are deep seated in the facial pores thus helping in prevention of clogging of pores. It has been made with a special hydrating formula that prevents skin dryness. 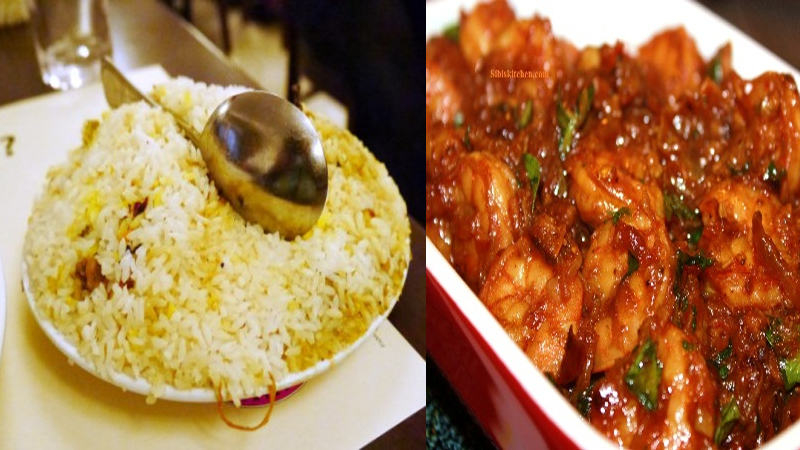 Price: 60 grams for Rs. 60. This face wash claims to improve your complexion with regular usage. It helps in getting rid of dirt and unclogs pores, making them appear less prominent. The Saffron present helps improve the complexion. 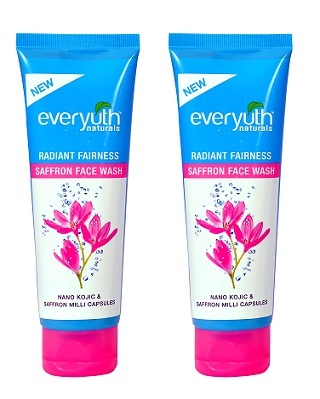 This face wash comes with a yummy smell that refreshes you early morning. 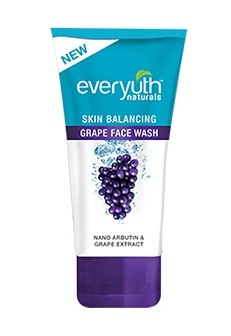 The face wash helps in mild exfoliation of skin and dead skin cell removal with the help of grape granules to keep your skin fresh and squeaky clean. 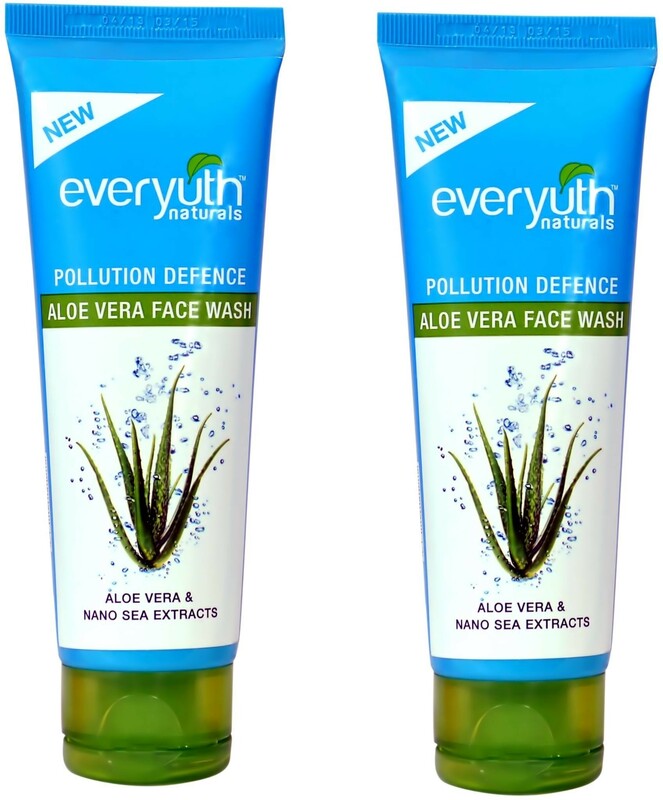 This face wash is your best bet against the city pollution. 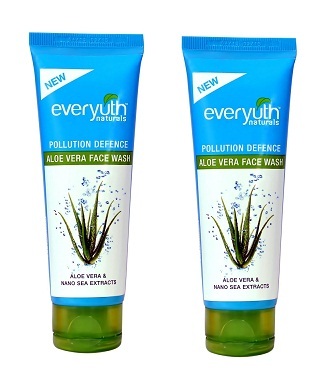 It helps in recovering the damage that your skin suffers due to exposure to pollution, heat and UV damage. The Aloe Vera has skin soothing properties that help in infusing moisture into skin and also fighting the sun damage. The antioxidants in face wash help in provide protection against free radical damage thus, having a mild anti ageing effect. Now, men deserve some pampering to after a long day at work and before getting ready to kick start your day. This Oxy active face wash for men helps in slowing the process of skin ageing by protecting against sun related UV rays damage & that caused by environmental pollution.